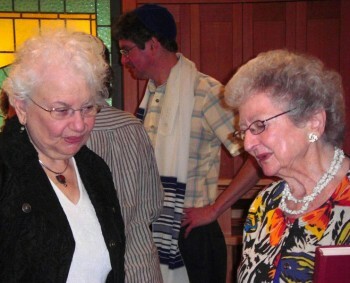 We began in 1996 with a few families meeting for potluck Shabbat dinners and services in homes and local parks. We wanted to build a welcoming center for Jewish life in Chapel Hill. We named it Kehillah—Hebrew for ‘community’—and that’s exactly what evolved. In fact, the ‘community’ quickly became so large, that by 1998 we needed more space. After bouncing around from NC Hillel to churches and rented office space, an opportunity arose to purchase the current building from the Chapel Hill Bible Church. We took it! The stained glass windows. The menorahs. The bimah. So many architectural features gracing our synagogue were collected from other places of worship. Others, like the ark, plaques, and bookcases were designed and handcrafted by our own Kehillah members. No wonder the energy at Kehillah is so warm and welcoming! Chapel Hill Kehillah has grown so much—drawing from a wider and wider surrounding area—that we’re no longer serving just Chapel Hill. Our congregation includes members from Durham, Cary, Raleigh, and beyond. So we’ve changed the name. We’re now Kehillah Synagogue.